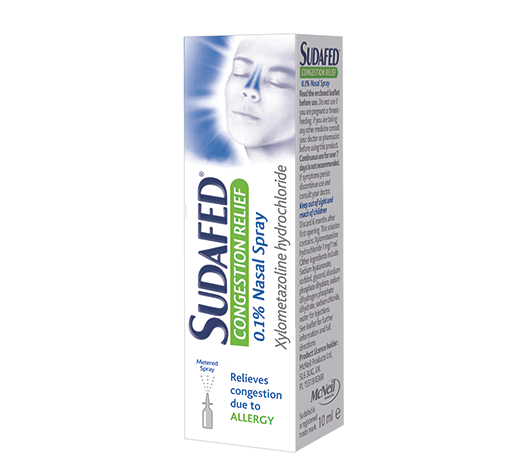 This best-selling nasal spray targets the source of congestion. 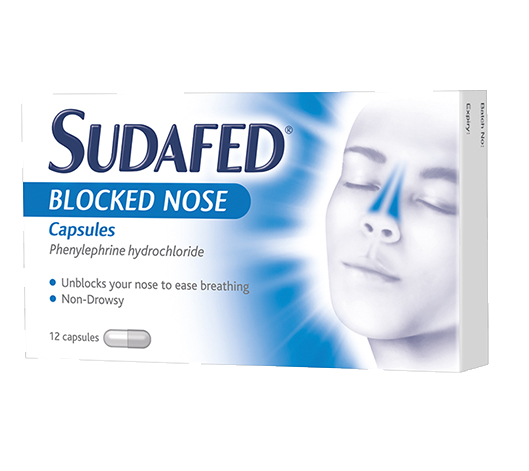 It gets to work in minutes, and its effects can last for up to 10 hours, helping clear your blocked nose and relieve any discomfort caused by cold and flu or allergies. 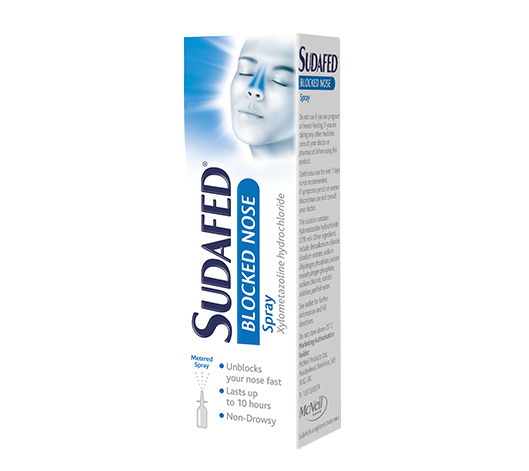 Just one spray up each nostril helps to clear blocked airways and reduce stuffiness, to help you breathe freely through your nose once again. 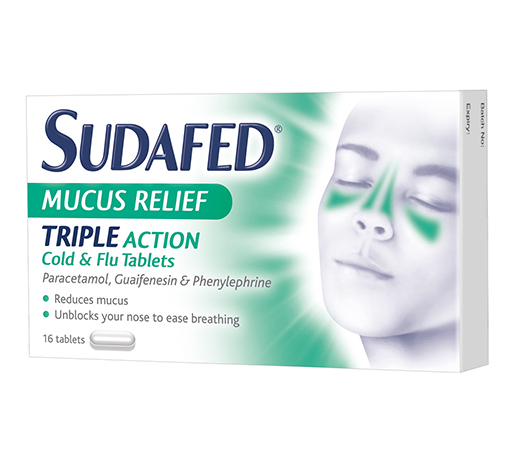 Blocked sinuses and a stuffy nose can ruin your day and leave you feeling less than your best. 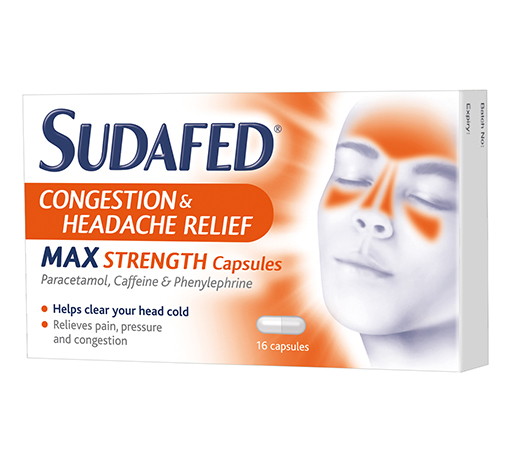 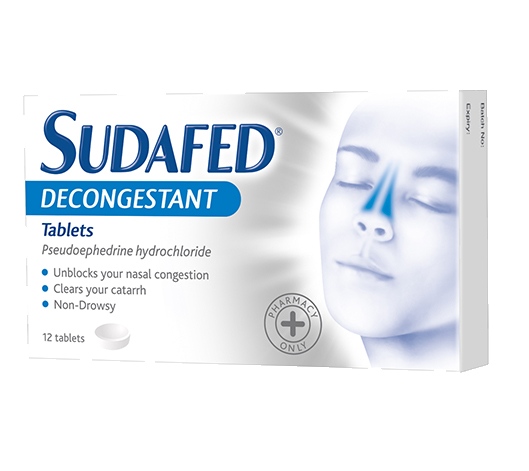 SUDAFED® Decongestant Tablets work hard to help unblock your nose and reduce swelling in your nasal passages, to help you breathe through your nose. 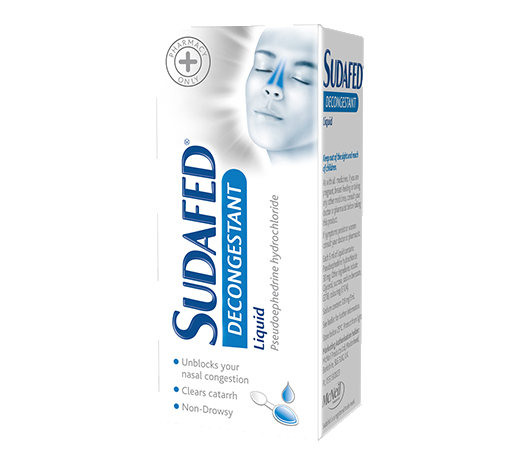 It’s effective for fighting congestion caused by colds and flu, as well as relieving congestion allergy symptoms (including hay fever). 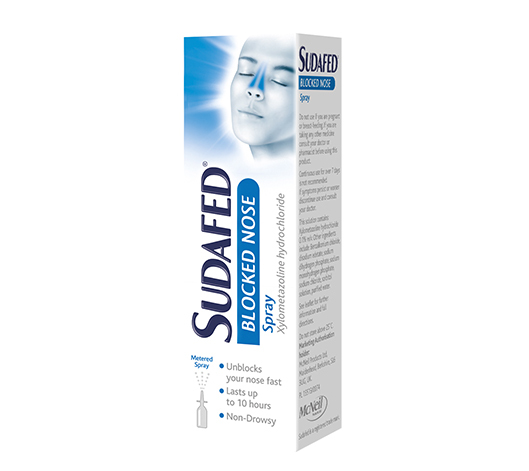 Relieve the symptoms of congestion, reduce nasal swelling and help unblock your nose with SUDAFED® Decongestant Liquid. 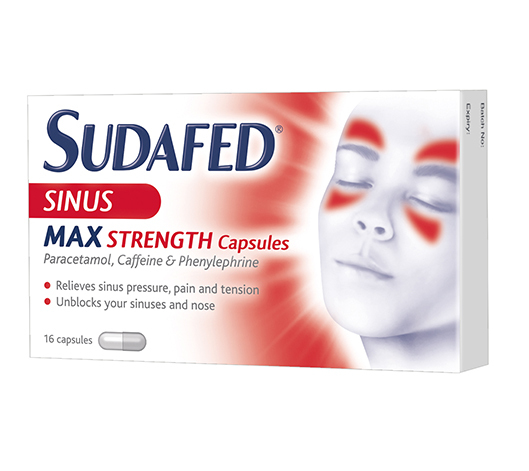 Specially formulated, this soothing syrup provides relief from congestion caused by colds.